Changes to Labour's internal rules have been passed after an angry row at the party conference in Liverpool. 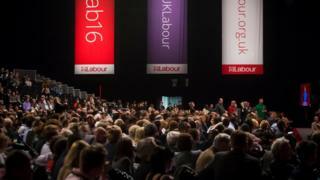 Loud protests were heard from the conference floor, with Mr Corbyn's supporters calling for a line-by-line debate on each measure. This element was opposed by the Unite union, but it said it would abstain on the package as a whole. Divisions over Mr Corbyn, who retained the leadership with an increased majority among party members and supporters on Saturday but who has the support of only about 20% of the party's MPs, have sparked behind-the-scenes battles over Labour's internal mechanisms. This reform package is wide-ranging. It will give the parties in Scotland and Wales the ability to set all their own policy and control over the selection of candidates. These elements are uncontroversial. But a row has been running for days on whether the leaders in Scotland and Wales should be able to appoint someone to the UK NEC. This goes to the heart of the power struggle in the Labour Party. Jeremy Corbyn's supporters are worried it could mean their ability to push through changes on the executive is threatened. So they've been trying to remove that part of the package. But they've been unsuccessful. The reforms went before the conference as one package - and have now passed. NEC chairman Paddy Lillis, who was chairing the debate on the rule changes, was urged by some speakers - including union boss Manuel Cortes and Corbyn ally Christine Shawcroft - to agree to a card vote, where delegates' votes would be recorded and counted, rather than a show of hands, and for the individual measures to be considered one-by-one rather than as package. Media captionThe founder of the Momentum group has claimed a key vote at Labour conference was "rigged"
But when he put the matter to the floor he said it was "overwhelmingly carried" by a show of hands. 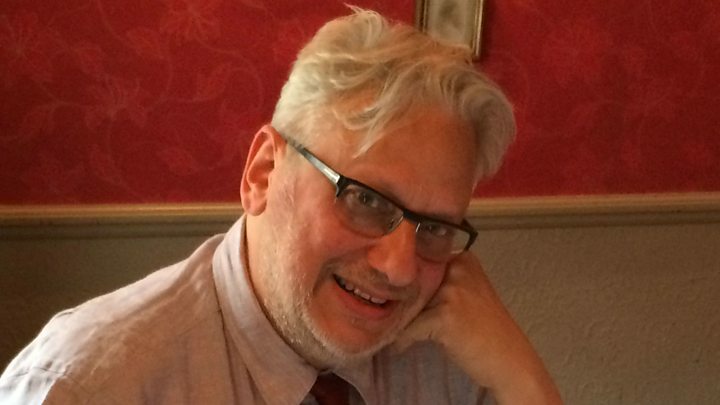 It was later agreed in a vote, but Jon Lansman, who founded the pro-Corbyn Momentum group, claimed the process had been "rigged".